petition: 100 Orcas and Belugas Are Being Tortured in "Whale Jails"
100 Orcas and Belugas Are Being Tortured in "Whale Jails"
Just off the Russian coast, 11 orca and 90 beluga whales are being held in tiny, cramped, and probably illegal enclosures that are being called "whale jails." Many fear that the marine animals will be illegally sold to Chinese water parks and aquariums. The situation is horrifying. 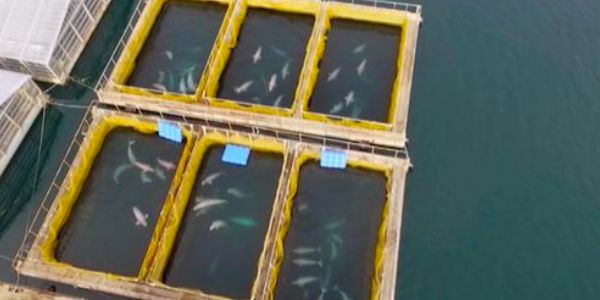 Please sign this petition demanding that Russian authorities investigate and shut down these "whale jails," and hold those responsible accountable! Whales deserve to be free and wild. Sign now to urge authorities to get to the bottom of this and save these whales.